Sheebah might have turned down a musical battle with fellow singer Cindy but from the moves being made by both artistes, it looks like this is going to turn into a battle of insults. Sheebah recently launched an attack on Cindy reminding her that she has not built a house despite spending so many years in the music industry. Now Cindy has also clapped back saying that Sheebah and many other female artistes signed to record labels, are dummies who have no say on the kind of music they release. “Most of the female artistes right now don’t write their own music, they are all under labels. They are being told and taught what to do. 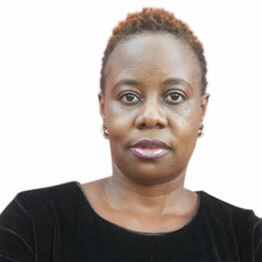 They are funded so they are basically dummies,” Cindy proudly said in response to a question asked about the battle during UBC TV’s Horizon Vibe show. It is no secret that Sheebah is signed to Team No Sleep and is managed by Jeff Kiwa. She also employs song writers for most, if not all, of her music. Cindy therefore feels that she is way ahead of Sheebah and says that the battle right now would not be fair to Sheebah. “We are not at the same level. Sheebah is a great artiste, she is very entertaining. She just needs a little more practice and then we can have a battle which is fair because it wouldn’t be fair to put me on a stage with Sheebah right now,” she said. Cindy threw in another jab calling Sheebah a ‘CD artiste’ who cannot perform with a live band and therefore a battle right now would just destroy her. “You cannot do a battle on CD. It has to be live,” Cindy provoked. Well we can only wait for Sheebah’s response.